Man, was a a distant shore, and the men spread upon it in wave... Each wave different, and each wave stronger. Ray Bradbury is a storyteller without peer, a poet of the possible, and, indisputably, one of America's most beloved authors. In a much celebrated literary career that has spanned six decades, he has produced an astonishing body of work: unforgettable novels, including Fahrenheit 451 and Something Wicked This Way Comes; essays, theatrical works, screenplays and teleplays; The Illustrated Mein, Dandelion Wine, The October Country, and numerous other superb short story collections. But of all the dazzling stars in the vast Bradbury universe, none shines more luminous than these masterful chronicles of Earth's settlement of the fourth world from the sun. Bradbury's Mars is a place of hope, dreams and metaphor-of crystal pillars and fossil seas-where a fine dust settles on the great, empty cities of a silently destroyed civilization. It is here the invaders have come to despoil and commercialize, to grow and to learn -first a trickle, then a torrent, rushing from a world with no future toward a promise of tomorrow. The Earthman conquers Mars ... and then is conquered by it, lulled by dangerous lies of comfort and familiarity, and enchanted by the lingering glamour of an ancient, mysterious native race. 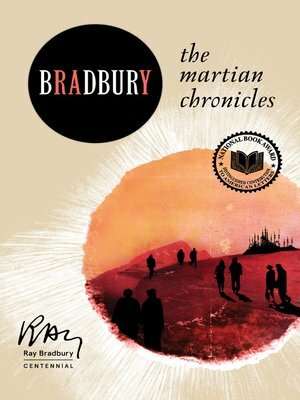 Ray Bradbury's The Martian Chronicles is a classic work of twentieth-century literature whose extraordinary power and imagination remain undimmed by time's passage. In connected, chronological stories, a true grandmaster once again enthralls, delights and challenges us with his vision and his heart-starkly and stunningly exposing in brilliant spacelight our strength, our weakness, our folly, and our poignant humanity on a strange and breathtaking world where humanity does not belong.